Kayak, Paddleboard, bike, enjoy a game of bocce or relax and read a book in one of our fabulous hammocks. Our Boat Tours with Captain Bill and Elle open at 10:00am daily and depart at your convenience. Let us know what you would like to do and when you’d like to leave. North America’s only coral reefs are just minutes away from our docks. Let Capt. 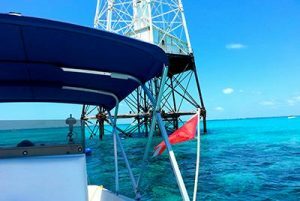 Bill and 1st mate Elle take you on a personal Snorkel Adventure in the Beautiful Caribbean Waters of the Florida Keys National Marine Sanctuary aboard “Voyager”, our 20ft Sea Craft Tour Boat. Picnic lunches and beverages are available. Picnic boxed lunch available for $70 per couple. 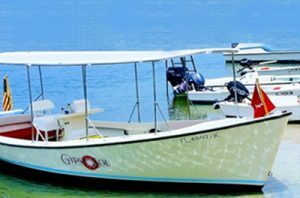 Your personalized Island-Tour adventure begins the newest addition to our Casa Morada Tours family, “Gypsy Soul” our Classic Motor-Launch. 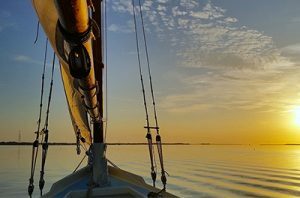 Join us for a leisurely 2 hour tour of our coastline, presented in a compelling, clear and entertaining narrative by Master Captain, Bill Todd, Sailor, Marine Environmentalist, local history buff and longtime Islamorada resident. 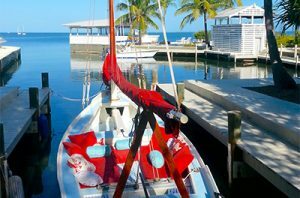 Islamorada is best viewed from the water, and Gypsy Sol is the perfect vessel! You’ll enjoy the beautiful waters, the lovely waterfront homes, historic places and even experience the Florida Keys National Marine Sanctuary. She offers an excellent view, is comfortable and shaded for a cool ride. Make it a picnic with a swim at a nearby Coral Garden! 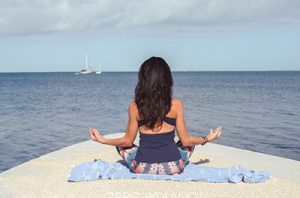 Yoga, the ancient art of bringing peace by resonating your body’s rhythms with nature’s, is offered in group and private sessions by Lauren Ferrante, an MS in Health & Physical education. Yoga is a way of life, and enjoying the serene sounds of the ocean under the gentle sun is the best way to start your journey. An excellent session of yoga followed by a warm shower is one of the best ways to unwind. 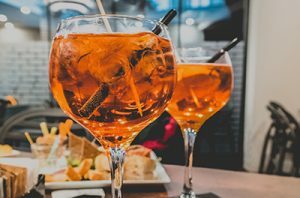 These sessions are usually conducted in the island property so you can get a wider perception of the exciting activities which follow. The yoga sessions are conducted every Wednesday, Saturday and Sunday at 9AM. Non-guests are also welcome to join at $15 per session. Private sessions are available at $125. There’s plenty of “Waterin’ Holes” & Restaurants on the waterfront. Visit them in style! The Islamorada Sandbar has become a famous place to see and be seen, located just minutes away from Whale Harbor Bridge. 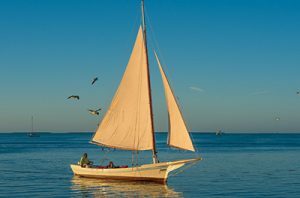 Escape the everyday aboard the Sol Sister, our 30′ Historic Skipjack. Islamorada Sunsets are world famous, and there’s no better way to experience one than aboard “Sol Sister”. Our 32ft Historic Skipjack, Sol Sister. The evening breeze with just the sound of water lapping by, there’s nothing quite like it. Hundreds of our guests have raved about it and return time and again. Your hosts Capt. Bill and First Mate Elle are standing by for your sunset sailing (or day sailing!) pleasure. Reserve your spot by contacting the concierge desk. Whether you are a beginner, novice or a rusty expert needing a brush up your sailing skills, Capt. 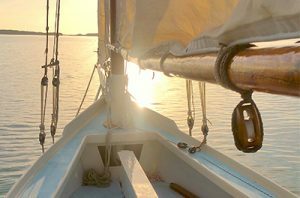 Bill can organize a custom sailing adventure for you. Our beloved Sol Sister is a 32ft -“Baby” Chesapeake Bay Skipjack. She was built by hand in Maine in 1982 and has recently undergone a full renovation. She has lived at Casa Morada since 2003. Sol Sister has been modified to comfortably seat up to 6 passengers and features a small dining area forward just perfect for snacks and drinks. Designed for the shallow waters of Chesapeake Bay, these powerful boats were used to haul fishing nets and oyster dredges and were hard at work until the 1980’s. Being custom made, she is truly one of a kind. 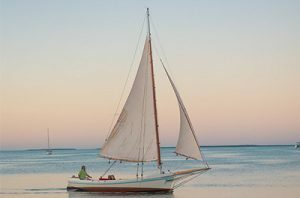 With her historic lines, classic wide and smooth ride, Sol Sister is the perfect sailboat for the Florida Bay. Sol Sister is also available for day-sailing adventures which can include lunch and a refreshing swim.